The Ben Franklin Plan: Let it go | Re-Do You! 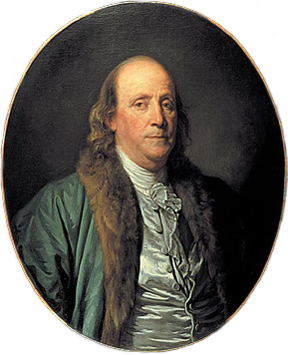 In honor of Ben Franklin who focused on one virtue a month each year (plus humility, which he worked on all year round on the advice of a detractor), I’m working on one life principle each week from Sunday to Saturday. Will you join me? I going to admit it front and center. This one is tough. It looks easy. It’s not, trust me. Admit it, you have trouble letting go of an old t-shirt. This life principle asks you to let go of things you may have been holding onto for all of your life! What are these things you will be asking yourself to let go of? Typically they are going to be mindsets you have about something or someone. The first clue that you have something that is begging to be sent packing is when you hear yourself saying the word “always” or it’s equally evil twin, “never”. A whole world of possibilities are lost between those two words. Every morning let go of something. Whether you want to or not.